Wildlife poaching has negative side-effects that affect local communities, wildlife populations, and the environment. It is a crime fueled by a lucrative black market trade of animal parts. The animal parts are sold as novelty items and are sold for their “medicinal” properties. Environmental groups, animal rights groups, government agencies, and even the Duke of Cambridge are calling for an end to wildlife poaching. The United States Fish and Wildlife Service (USFWS), The World Wildlife Fund for Nature (WWF), and The International Anti-Poaching Foundation (IAPF) are leading international efforts to end wildlife poaching. Poachers kill for profit. For example, bear gall bladders and big horned sheep antlers are worth top dollar for their so-called medicinal properties. This past November, at the National Wildlife Property Repository in Colorado, the wildlife service destroyed six tons of ivory confiscated at U.S. borders. Elephants are killed for their tusks because, while it is possible to remove the tusks without killing the elephant, they are too dangerous to remove when they are alive. The international community is responding. China recently increased its prosecutions of ivory smugglers, sentencing eight citizens to jail for bringing in over 3 tons of ivory between 2010 and 2012. The United States is second to China in its desire for illegal wildlife parts. According to an On Earth article, poachers killed over 30,000 elephants last year. Experts believe that elephants will go extinct within the next decade if the killing continues at this rate. The extinction of a species can have a negative economic effect on a local community’s tourism industry. A community that relies on its wildlife to attract tourists is at great risk for economic hardship if the prevalence of poaching is high. Furthermore, a tourist boycott due to local poaching is a real threat. A boycott could have a detrimental effect on a community’s economy since restaurants, hotels, rentals, and other attractions would suffer. Extinction is the greatest threat to animals that are victims of wildlife poaching. 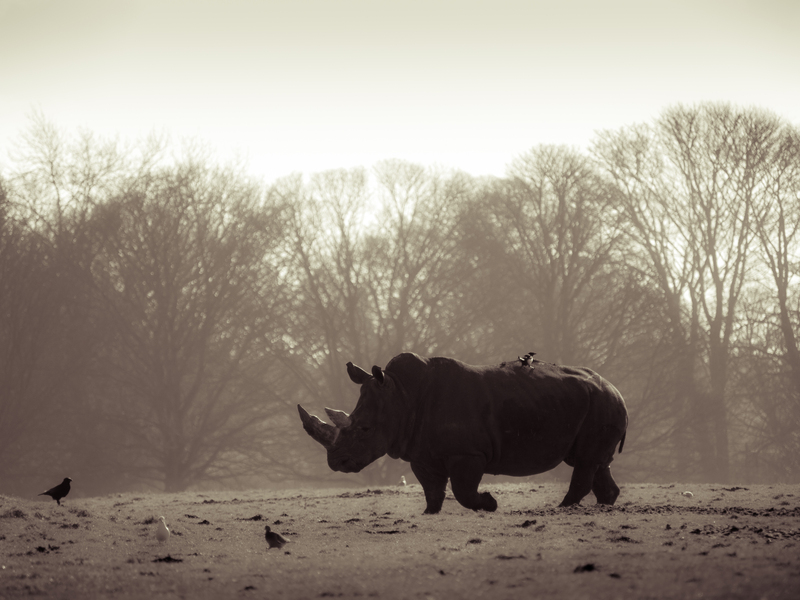 In 2011, the International Union for the Conservation of Nature (IUNC) declared the Western Black Rhinoceros extinct. This subspecies of the critically endangered Black Rhino was poached due to the belief in the healing properties of its horn. The Sumatran Tiger is a critically endangered species right now. It is poached and sold for its parts (skin, teeth, bones, and claws) which sell for up to $5,000. Poaching is more lucrative than other jobs that are available in the region; a harsh reality faced by many individuals and communities. Poaching is also dangerous to the environment. When the North American Gray Wolf was on the brink of extinction, due to trophy hunting and poaching, the elk populations in Yellowstone National Park soared. With no natural predator, the elk nearly ate the aspen tree to extinction. Now, because of the increasing populations of gray wolves in the park, elk populations are balancing out and the aspen tree is recovering. Our ecosystems are sensitive and must be preserved. The economic challenges of a community can lead to poaching, which in turn can lead to endangerment (and in the worst cases, extinction) of different species. We need various species of flora and fauna in our environmental ecosystems so that it can maintain healthy and balanced. The survival of our own species depends on it. If you suspect poaching, use this list to contact the proper authorities. If you are a witness to poaching, dial 911 and report it. Wildlife poaching is a crime and should be treated as such. Also, arm yourself with additional information, like from the sources below, and share it wide and far! Every year each elephant releases 28,200 kg of green fertilizer. Whenever an elephant is killed, it means less green fertilizer. No more elephant means desert everywwhere, which means no more wildlife, and ultimately, no more humans. All poachers (and I think of American trophy hunters) should be informed of the harm they do.